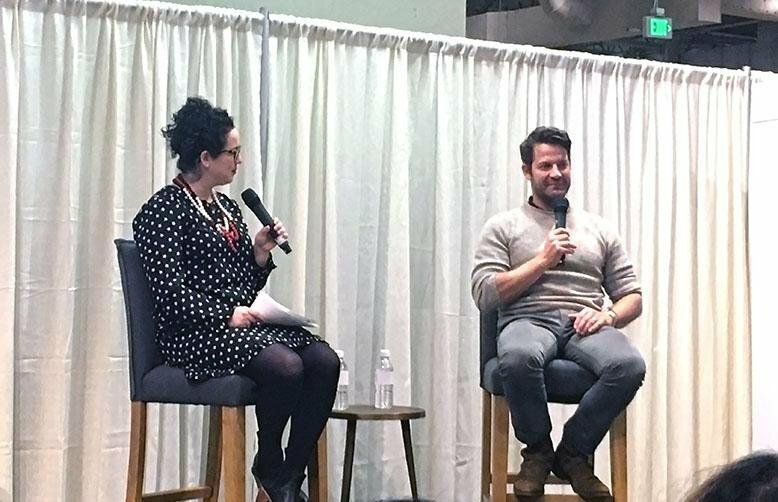 We were so honored to have Nate Berkus speak at our RC Willey Draper Showroom yesterday! 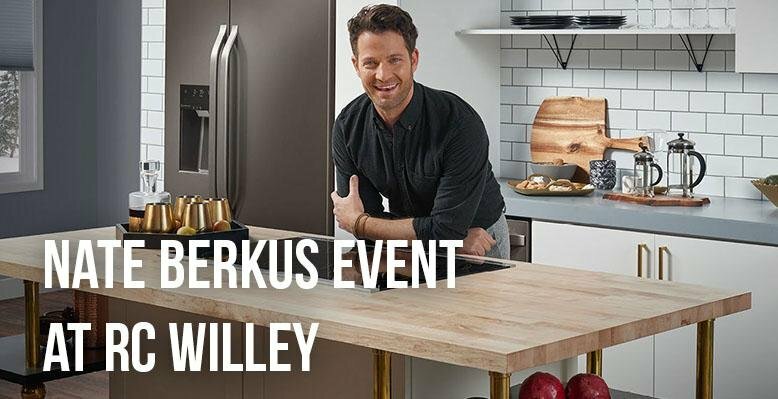 Nate is the LG STUDIO Artistic Advisor and was able to show us some of the things he’s been working on, as well as give tips and ideas for designing a kitchen. I'd love to share what I learned with you below! Like I said, Nate is the Artistic Advisor for the LG STUDIO line of appliances. The appliances he has helped design are minimalist, sleek, and easily fit into almost any kitchen design and style. I loved this refrigerator above. It has a new finish called black stainless steel and it was beautiful! It’s hard to see in the picture, but it almost has a bronze look to it which makes it unique and beautiful. Bonus! It’s got a protective layer that makes it smudge resistant and easy to clean! 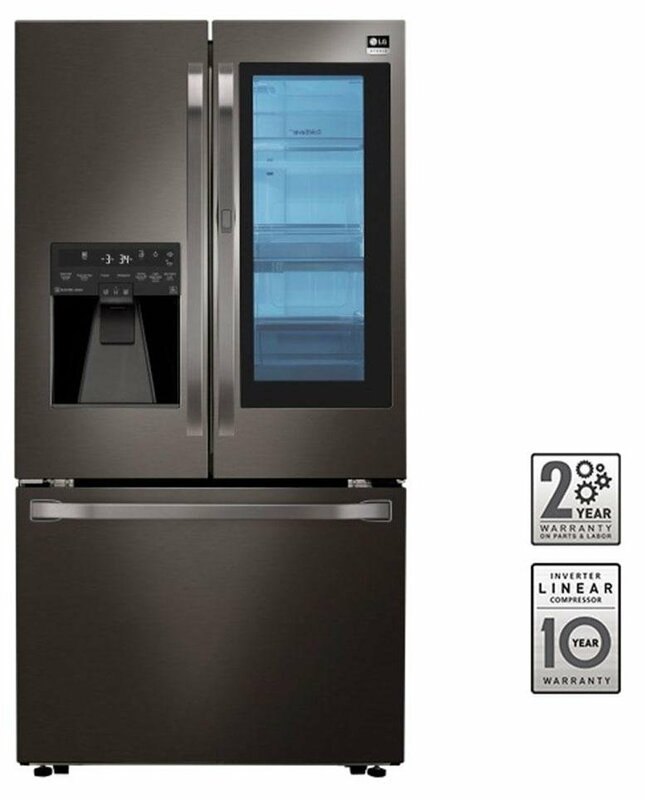 Figure out your budget then buy the best appliances you can afford. Appliances are what keep your kitchen running and everything else can adapted or changed depending on what you have left in your budget. Do not follow a trend! Trends go out of style and you will want to love your kitchen long term. Nate says that anything built-in like cabinets, tile, backsplash, etc. that are expensive and require someone to come and install them should be timeless. Keeping the shell of your kitchen basic will allow you adapt and change for the trends with your accessories. Break the rules and don’t worry about other people’s opinions! Your home should tell your personal story, not the interior decorator or pinterest’s story. Mix metals and wood to make your kitchen have depth and think outside of the box. Just because something is utilitarian doesn’t mean it shouldn’t be beautiful. Use trays, beautiful cutting boards, pretty silverware holders, etc. to make things in your kitchen more appealing and beautiful. Thank you so much for your time Nate! We learned so much!